PENDER ISLAND – Bylaws passed by local government shouldn’t pre-empt decisions by the Agricultural Land Commission, the commission’s chair and CEO told a recent meeting of the Islands Trust council. While it may seem to be stating what’s clearly written in section 46 of the Agricultural Land Commission Act, the question is at the heart of a storm brewing on several Gulf Islands. Speaking during a public delegation session at the Islands Trust council meeting June 20, Pender Island resident Michael Sketch pointed out that Islands Trust and its local trust committees (LTCs) has regularly interpreted the ALC’s conditional approval of applications as full legal approval. Sketch recalled how former ALC chair Richard Bullock addressed the Islands Trust council on Salt Spring in 2012 regarding the issue. The parcel had changed hands months earlier, with old industrial zoning on ALR land already in place but with no ALC permission in law, according to Sketch. The zoning was intended only to provide road access across an ALR portion to a non-ALR oceanside fuel facility which had ceased operations decades ago. This situation is not unique to Pender. Nearly a third of the islands governed by the Islands Trust have seen trust staff recommend the reading of bylaws which, if adopted, would be inconsistent with ALC legislation or an order of the ALC. Sketch is not alone in his assessment of the situation. Gabriola Island resident Jacinthe Eastwick has also spoken out about Islands Trust bylaw readings on North Pender, Gabriola, Salt Spring and Galiano that are inconsistent with the ALC Act, a regulation or order of the ALC. 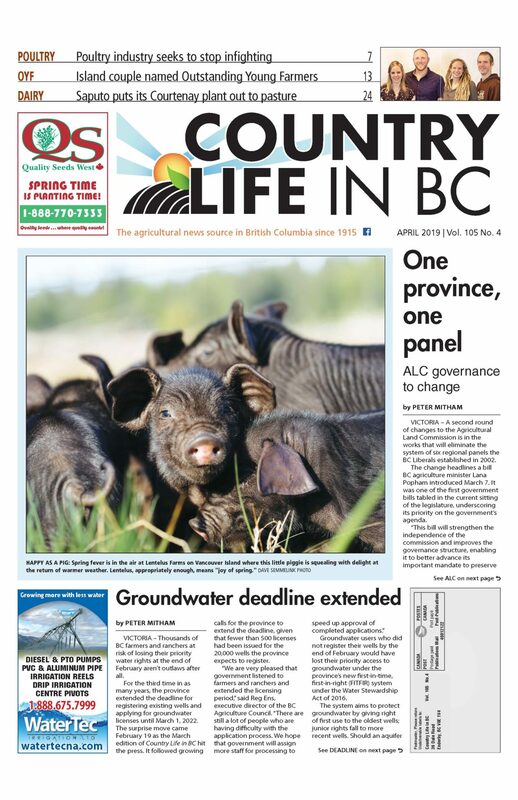 Despite public protest leading to the eventual reversals of bylaws on three islands, Galiano adopted official community plan (OCP) amendments in 2017 which approved community as a non-farm use within the ALR, inconsistent with an ALC order. 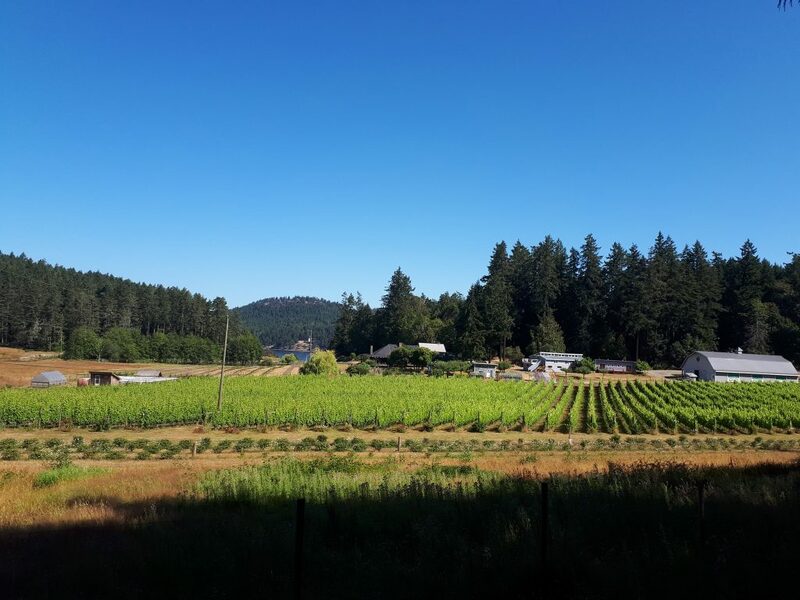 During the June 20 meeting, held on Saturna Island, current ALC chair Jennifer Dyson and ALC CEO Kim Grout presented statistics on ALR applications and agricultural land use in the trust’s area, and answered trustees’ questions. The public were not allowed to ask the chair of the ALC questions directly, but rather had to submit them to a trustee to be asked. ALC representatives did not attend the public delegation session where Sketch questioned the apparent disconnect between the ALC and Islands Trust. Dyson’s and Grout’s presentation indicated that ALR land was less than 2% of the Islands Trust’s 520,000 hectares (1.3 million acres), with small parcels less likely to be farmed than larger parcels. Natural vegetation covers up to 60% of the ALR. Since the formation of the ALR, there have been 385 completed applications to the ALC in the Islands Trust area: 18% for exclusion, 11% for inclusion, 42% subdivision applications and 29% for non-farm use. Both the Islands Trust and the ALC were formed by the NDP government of the 1970s as unique agencies intended to “preserve and protect” land.